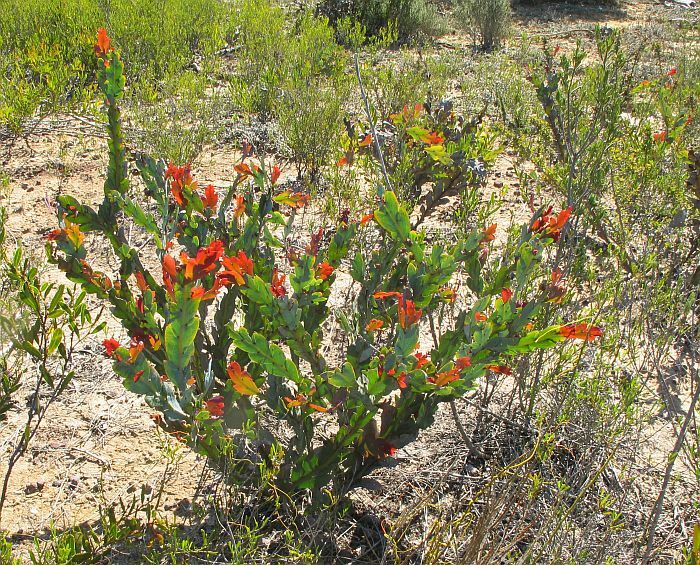 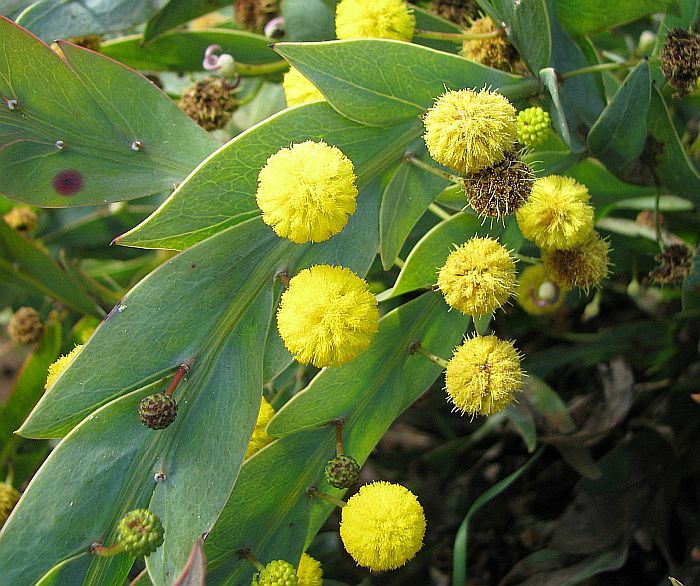 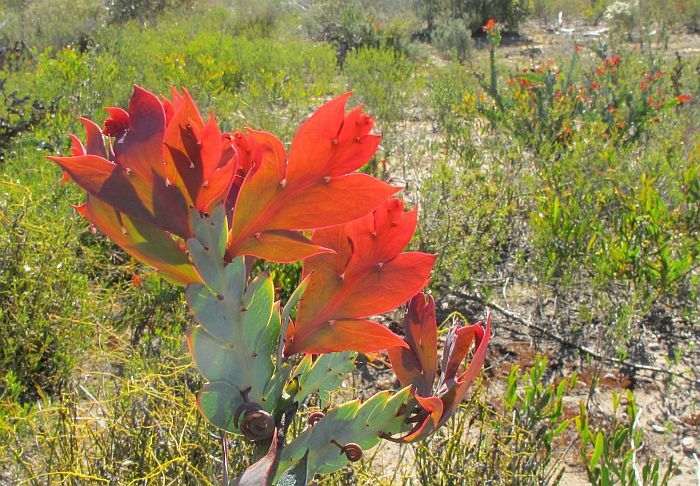 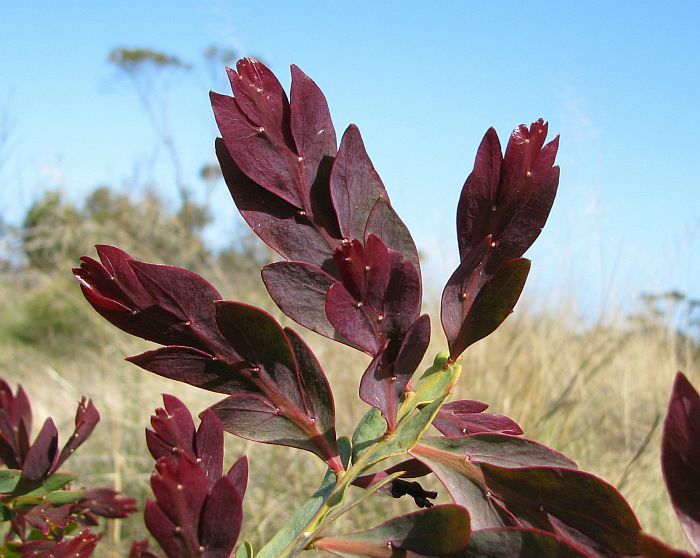 This species also known as the Clay Wattle, is common in the Esperance region and can be found in coastal and inland mallee regions from Albany to Israelite Bay (170 km or 105 miles east of Esperance). 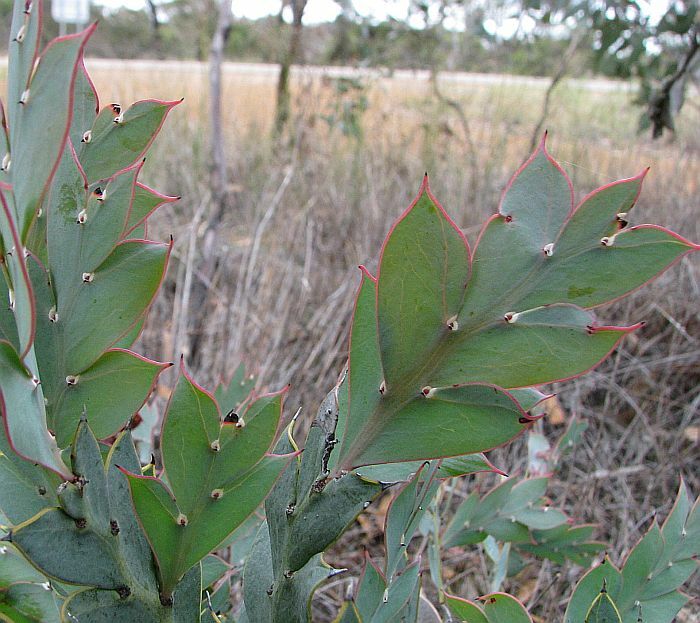 It prefers the heavier well-drained, non-calcareous sandy loams, overlying limestone, rock, gravel or clay, often on hillsides or around winter-wet depressions. Acacia glaucoptera can grow to 11/2 metres (5’) in height, although more commonly around half that size. 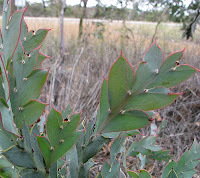 It is a very distinctive species with broad wing-like foliage, which technically are cladodes that act and behave as leaves. These wings are most ornamental especially the new growth that varies in color from maroon to scarlet, whilst the more mature foliage is a pale blue/grey (glaucous) color. 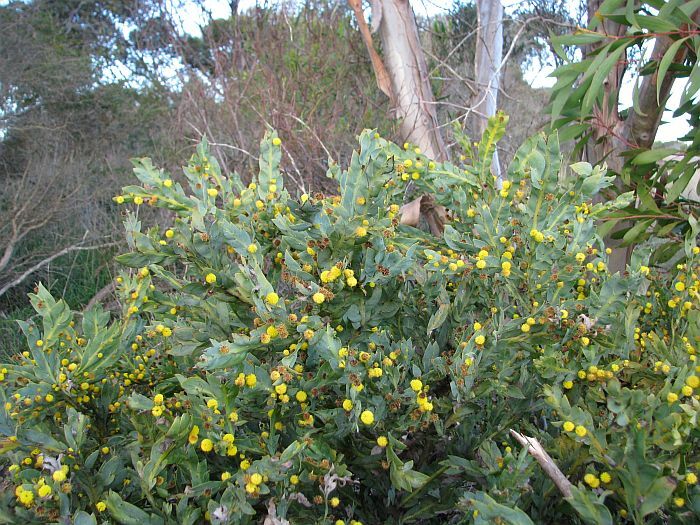 There is only one species that could be confused with Acacia glaucoptera; this is Acacia bifaria a rarer species occurring at Ravensthorpe and west to the Fitzgerald River, an area outside the Esperance region. 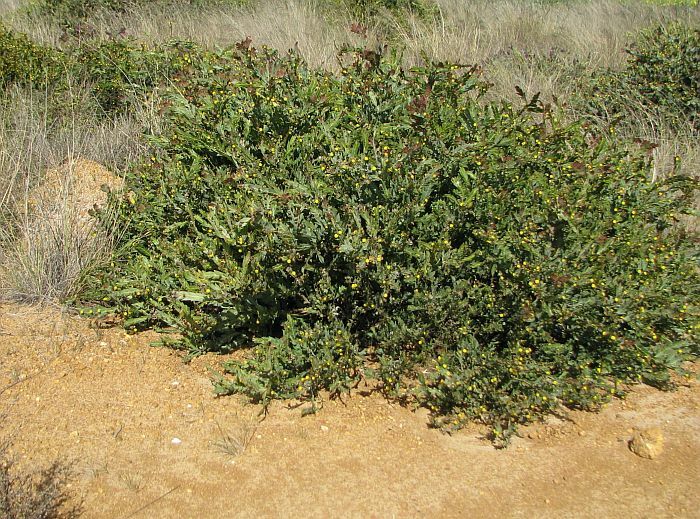 It differs by having greener foliage, plus only 16-23 individual (small) flowers in the head, as against 30-80 for A. glaucoptera. Also the stems of A. glaucoptera are reasonably straight, whereas with Acacia bifaria they are prominently flexuose (growing first left, then right, then left, etc. 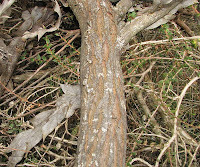 as in zig-zag). 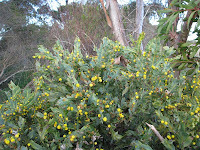 Acacia bifaria also tends to be a prostrate or semi-prostrate shrub, whilst A. glaucoptera is more upright. 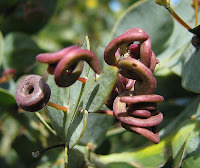 The flowers and the highly twisted seedpods are supported on long peduncles (stalks) that are held at 90 degrees to the foliage. It is worth noting that not all seed held in the strongly coiled pods are necessarily released, but can remain entrapped within the pods that fall to the ground to eventually decompose or more likely burnt in a bushfire, which also prepare the seed for germination. 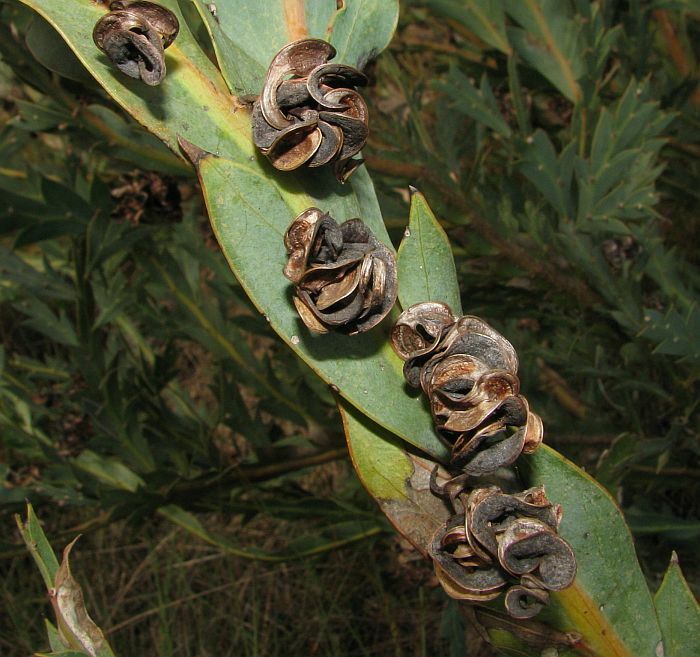 So maybe a useful feature to preserve seed in a suitable habitat, which might otherwise be transported by various means to a less favourable one. 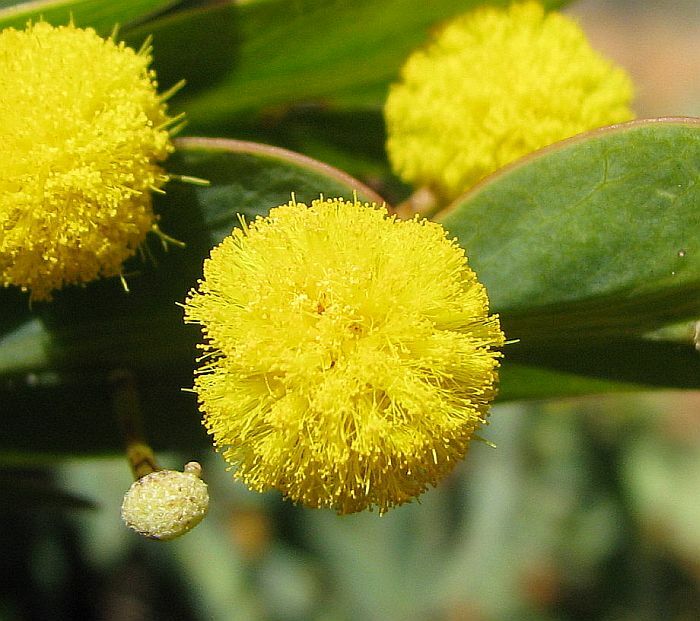 Flowering is recorded from August to December, but Acacia glaucoptera is highly opportunistic by rapidly producing blossom after good rainfall, so finding fresh flowers and mature pods on the same plant is not unusual. 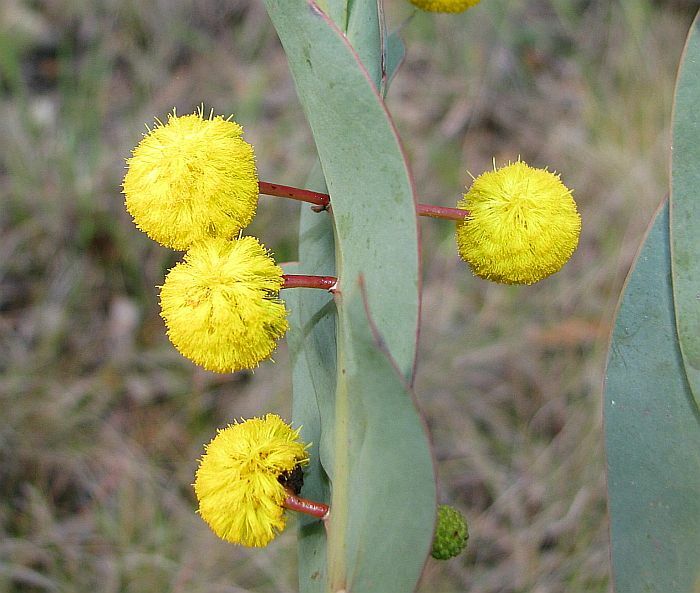 The Acacia genus in WA is placed in the Fabaceae family, which may not be the case elsewhere.